Vessels (#956,872,941): unglazed porcelain, soluble metal salts. "Tracing the Sky": translucent porcelain, soluble metal salts. 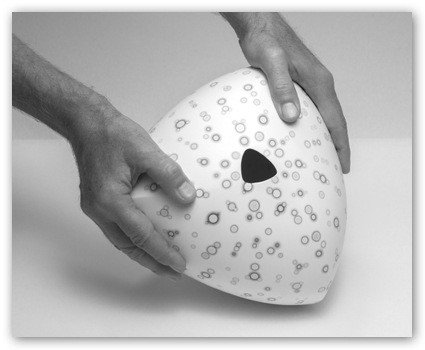 Concave Form (#20): kilnformed translucent and reactive glass. "Experience Objects" (#725, #731, #696): earthenware, soluble metal salts. 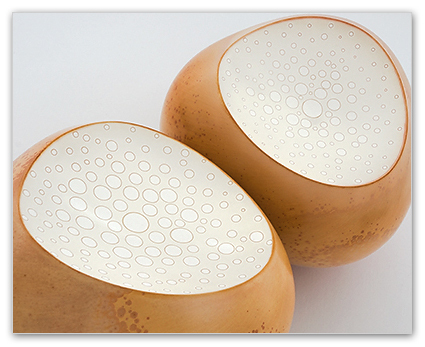 Martinsions Award entry: Vessel (#734): earthenware, soluble metal salts. Relational Forms (#10 & #12): kilnformed translucent and reactive glass. "La Nouvelle Vague Californienne", Galerie du Don. Equipoise Vessels at the Keramikmuseum Westerwald. Relational Forms (#482 & #490). 4-person show featuring work by Liza Riddle, Mark Goudy, Tom Jasczcak, and Birdie Boone. I will be showing a new body of translucent porcelain work. All work will be available in person starting March 8, and also online here. Join us for the artist reception on Saturday, March 9, 2019, from 5-7pm. TRAX is located at 1812 5th Street, Berkeley, CA, and is open Friday, Saturday, and Sunday from 12 - 5:30pm. In conjunction with NCECA this year, the American Association of Woodturners has invited ceramic artists to join in with this exhibition of small works at the Gallery of Wood Art in Saint Paul. Invited artists include Liza Riddle, Mark Goudy, Kris Marubayashi, Patrick Kingshill, Andrea Leila Denecke, Andy Balmer, Greg White, Ginny Sims, Janel Jacobson, and others. The full program of exhibitions going on at NCECA this year can be found here. Join us for the artist reception from 5-9pm, Friday, March 23, 2019, at the Gallery of Wood Art - located at 222 Landmark Center, 75 5th Street West, Saint Paul, MN 55102. The Jennifer Perlmutter Gallery presents an exhibition of 16 glass artists from the Association of Clay and Glass Artists of California (ACGA). The work was juried in by gallery owner Jennifer Perlmutter and guest juror Myrna Kimmelman, Executive Director of Lafayette Partners in Education (LPIE) and a glass collector. Artist reception will be held Thursday, February 7, 2019, from 6-8pm. Discussion with artists and jurors Saturday, February 9th @4pm. The Jennifer Perlmutter Gallery is located at 620 Mt. Diablo Blvd. Lafayette CA 94549, USA. 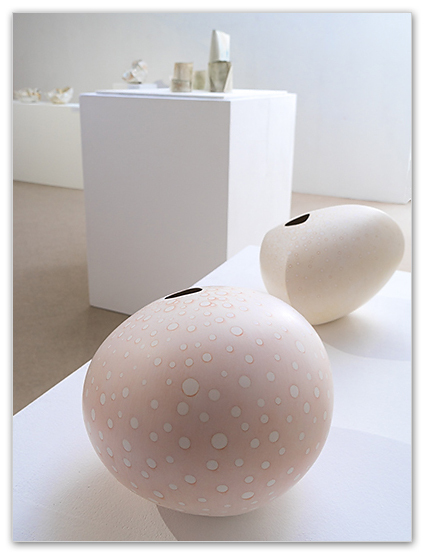 The Clay Studio National is a biannual juried exhibition showcasing contemporary ceramic art being made in the United States now. The exhibition will highlight a diverse range of work, from functional to sculptural, and from traditional production techniques to cutting edge manufacturing technology. Esteemed juror Beth Ann Gerstein is the Executive Director of the American Museum of Ceramic Art. 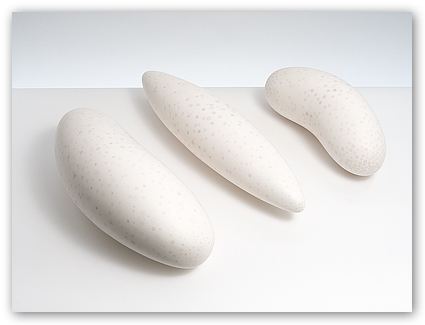 I am touched and honored to win the Ceramics Art Network Merit Award for my work "Experience Objects." The Clay Studio is located at 139 N 2nd St, Philadelphia, Pennsylvania, USA. Opening: July 6, 2018, at the Mark Rothko Art Center in Daugavpils, Latvia. I am delighted and honored to be invited as a finalist in Bullseye Projects tenth biennial competition: Emerge 2018, highlighting emerging artists in the world of kiln-formed glass. Looking forward to my first glass exhibition! Opening: June 23, 2018, at Bullseye Projects, Portland, Oregon, USA. "Mark and Liza are internationally recognized as pioneers in the utilization of metallic soluble salts, a technique relatively unexplored until now. Their creations are clad in exquisite surfaces of delicate and rare shades of color. Liza, inspired by the parched earth of California, erects totemic sculptures exploring the unexpected poetry of the arid ground, while Mark presents a whole gallery of highly tactile forms, sometimes closed, sometimes open, but always with intriguing and seductive surfaces." 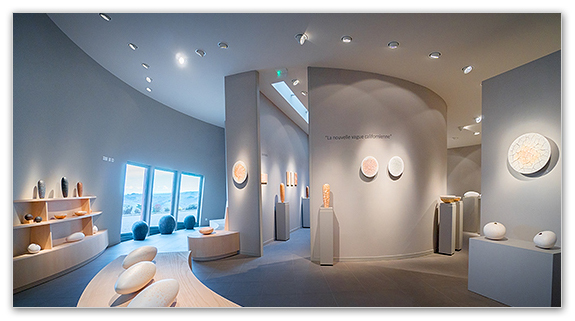 This past spring Liza Riddle and I had an exhibition featuring 80 of our works at the beautiful and ethereal Le Don du Fel in south-central France! 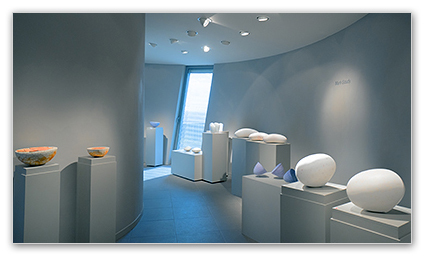 The gallery located near the village of le Fel in the department of Aveyron, Midi-Pyrénées,France. 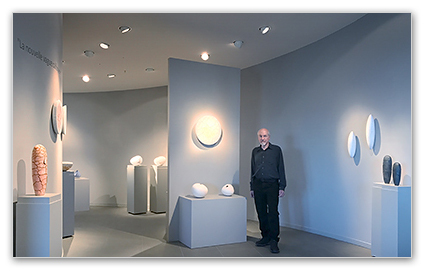 Le Don du Fel offers "two different panoramas, one on the outstanding landscape of the Lot Valley, and the other on the best of contemporary ceramics." There are still some of our works available for sale at both Galerie du Don in Le Fel, and also Vitrine du Don in nearby Aurillac. Delighted to discover my equipoise vessels had received juror Thomas Hirschler's commendation award at the 8th Naspa competition! "My gaze repeatedly returns to the soft, balloon-like forms. The pastel-coloured shapes seem to float. With the pale bubbles on the surface spreading over the entire form with slight variations in size and colour outline, they have a magical attraction. The surface is delicate and light-hearted but in their form with its innate, mysterious power, they seem to breathe. There is the small, dark aperture, that only looks like one from a distance. It attracts and disconcerts. From close up, the aperture becomes a plane. The black of the interior is so complete that the gaze is unable to penetrate the depths of the vessel, almost as if what is encompassed by the interior space were larger than what can be grasped by the naked eye. Only by testing with a finger does the space open up inwards, a fascinating moment of astonishment. Mark Goudy’s vessels impress with their powerful, warm presence. " I am so honored to be selected to participate in the 2016 Taiwan Ceramics Biennale competition! "The construction of the New Taipei City Yingge Ceramics Museum was first proposed in 1988 and opened to the public on November 2000. It has become the leading county museum in Taiwan and the first professional museum wholly dedicated to ceramics. 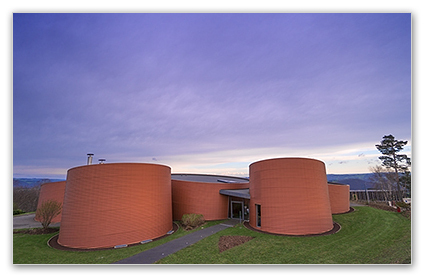 The first modern ceramics museum in the nation combines the essence of the wisdom of the industries, government, and scholars. It raises the signal that the fire in Yingge's kilns will never be extinguished." Images ©2008-2019 Mark Goudy. All rights reserved worldwide.